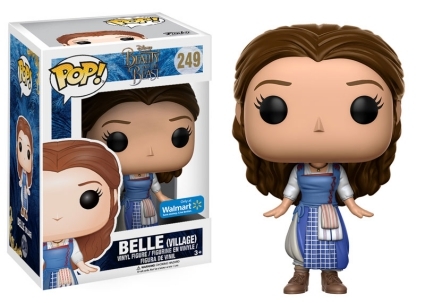 Disney captured hearts everywhere with their animated film Beauty and the Beast. 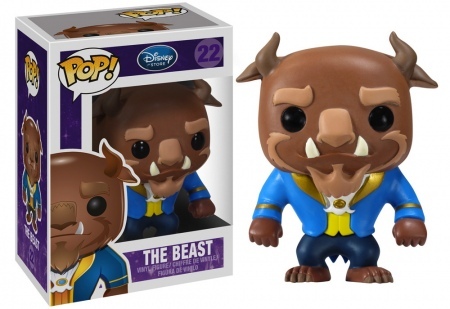 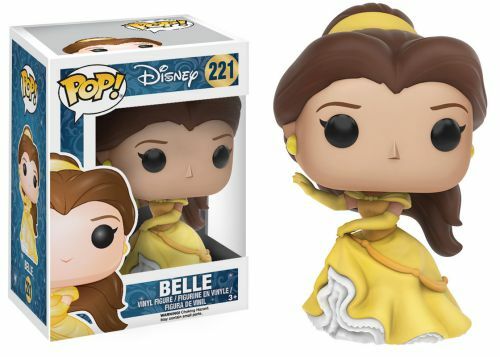 Funko Pop Beauty and the Beast figures deliver the same lovable characters to collectors in a smaller format. 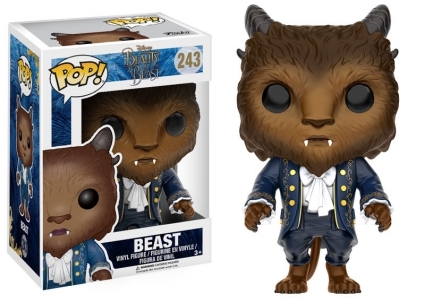 Based on the French fairytale of the same name, Beauty and the Beast debuted in 1991 with worldwide success. 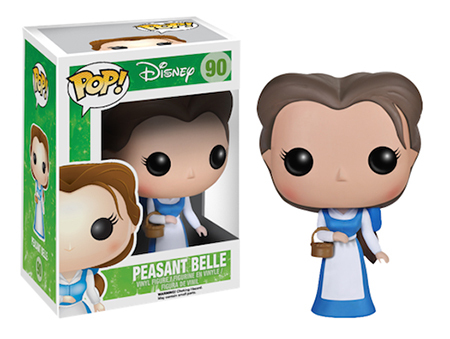 The musical follows the love story between Belle, a peasant girl from the local village, and the Beast, a conceited prince named Adam. 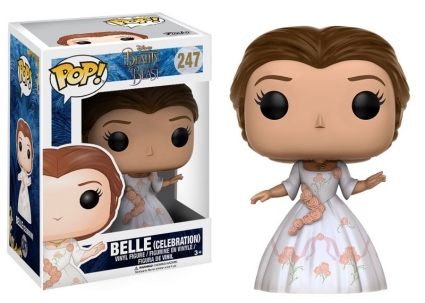 As a result of his lack of caring for others, a witch casts a spell on the prince that can only be broken when he learns to love another, and she, in turn, loves him. 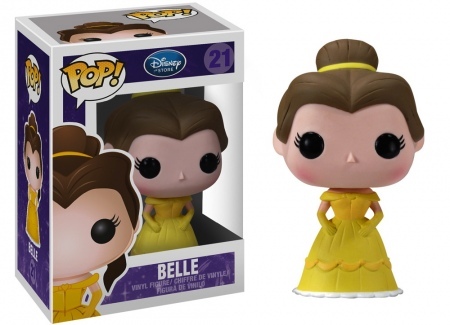 Along the way, Beauty and the Beast created some of Disney's most memorable characters. 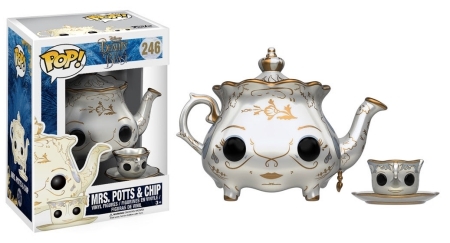 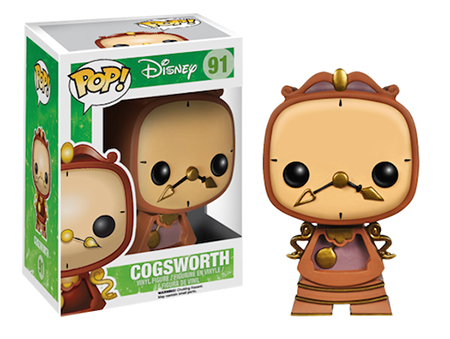 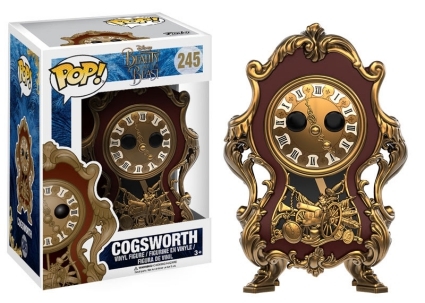 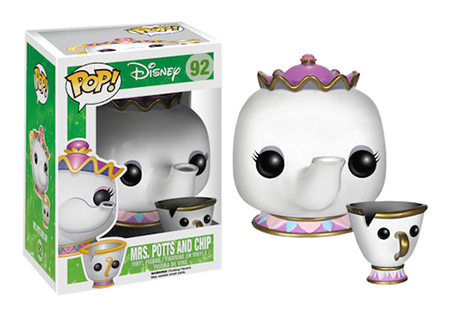 Funko Pop Beauty and the Beast features several options for the main subjects along with the adorable staff in the Beast's castle, including Cogsworth and a pairing of Mrs. Potts and Chip together. 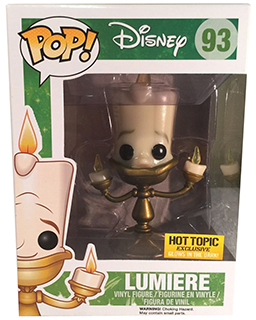 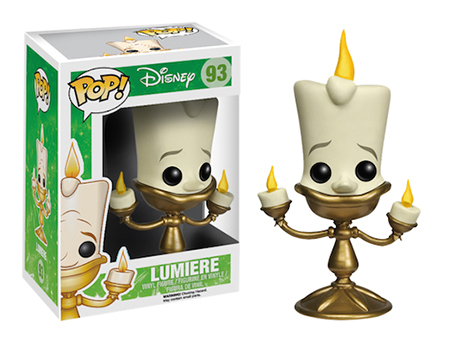 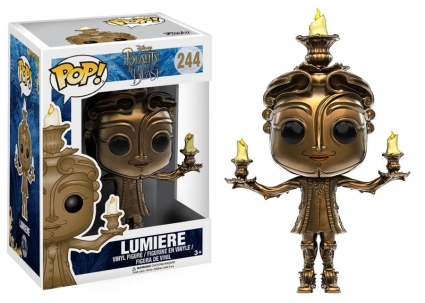 Lumiere has a primary vinyl figure and a glow-in-the-dark Hot Topic exclusive. 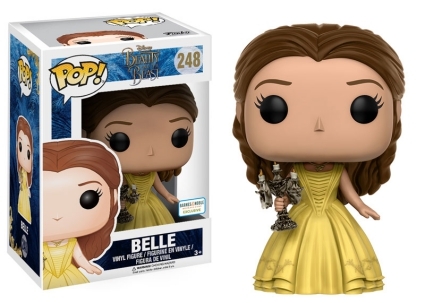 Aside from her first base figure, Belle has several styles to choose from which include a peasant version as well as a few with her in different dresses and gowns. 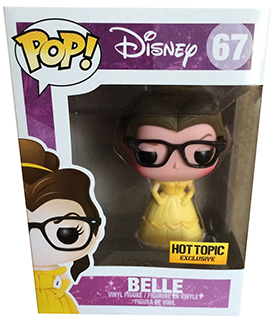 The Funko Pop Beauty and the Beast figures for Belle posed with glasses or with birds are issued exclusively for Hot Topic. There are also a pair of options for The Beast, each displaying his horns and large teeth, although the figure posed with birds appears to be larger than the standard 3 3/4" Pop size. 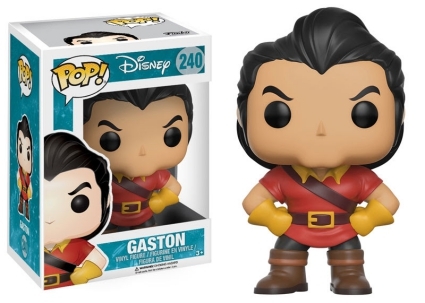 Even the villainous Gaston gets in on the Pop! 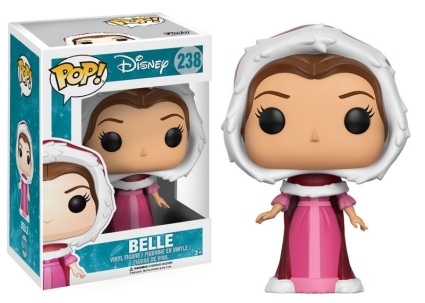 action with a figure. 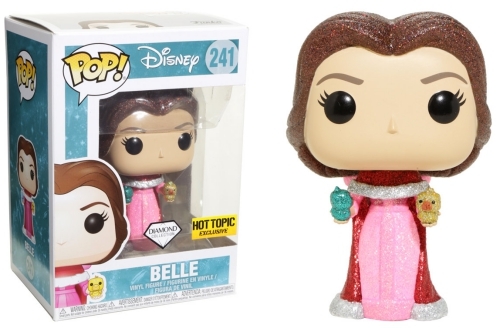 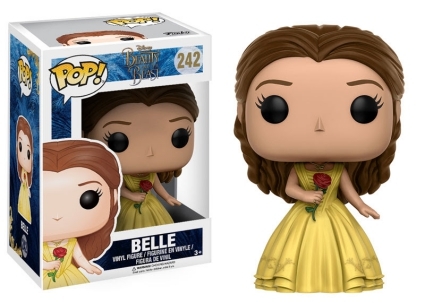 In addition to releases for the animated classic, Funko Pop Beauty and the Beast also offers versions for the live-action movie (2017) with quite a few figures for Belle, played by Emma Watson. 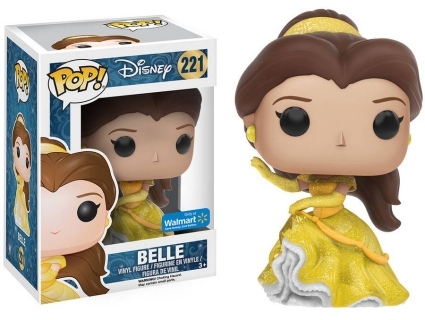 The Mystery Minis set features even more figures for the film, albeit in a smaller size. 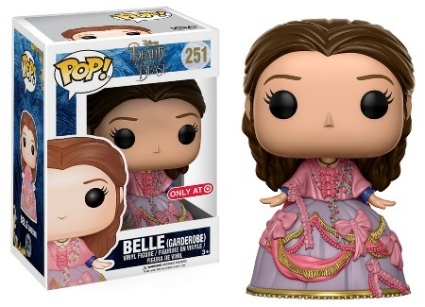 Why is everyone leaving out the Belle(Garderobe)? 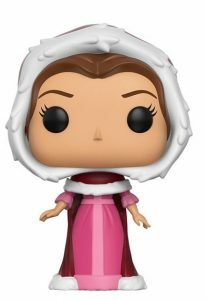 She is a Target exclusive. 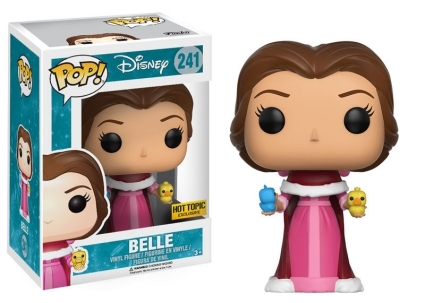 Also, the Wal-Mart Exclusive hasn’t been released as I cannot find it anywhere, online or in store. FUNKO POP! 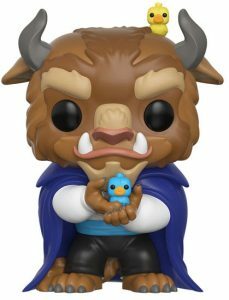 DISNEY BEAUTY AND THE BEAST ENCHANTED ROSE HOT TOPIC EXCLUSIVE!